Today I give you a free response practice question on kinematics. I’ll give you the answer in my next post. (a) If the height h where the ball strikes the plate is varied, how will you indicate, graphically, the variation of t1 with (H – h)? 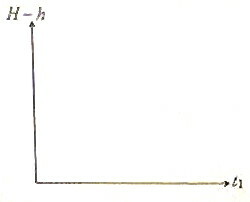 Use the coordinate axes as shown in the figure below to show the nature of variation. Arc of a circle …..
(c) Derive an expression for the total time of flight t2 of the ball. 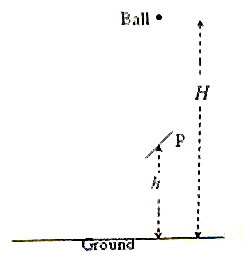 (d) Determine the horizontal displacement of the ball when it strikes the ground. (e) For a given value of H determine the value of h for which the time of flight t2 of the ball is maximum.